Now let us look at some key features of these colleges in detail. The basic information is that the college has an intake of 70 students for BA.LLB and the total fee for 5 years is 7,60,000. 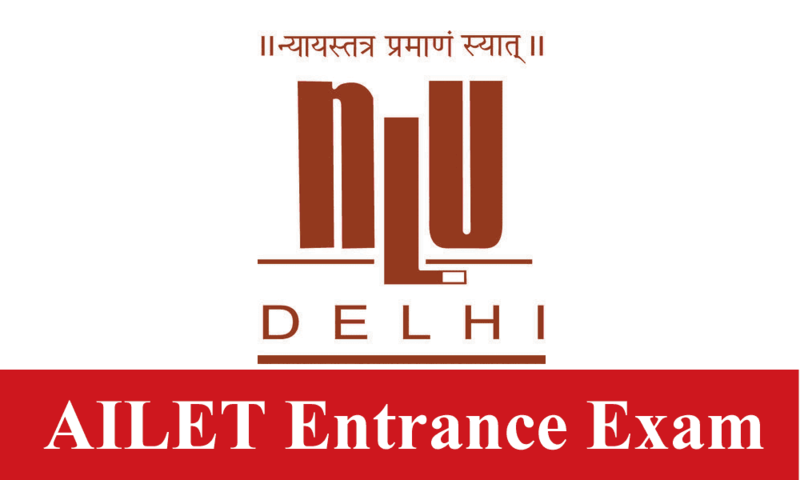 Now let us look at the life at NLU Delhi. The students organize cultural and dramatic events, literary events, debates and quiz competitions. Then there is a legal aid committee and a moot court society plus there is a student welfare committee. For sports events, there is a different committee as well. Hostel welfare is not ignored either and there is a committee for that too. The student achievements are celebrated and the laurels won by NLU Delhi students include victory in the field of essay writing, debating, and in the field of client counseling and mediation besides the fields for which there are separate committees which I already mentioned. Research is encouraged and various topics are covered including topics such as death penalty, the crime against women, E-Pathshala and more. The library is complete with all necessary material such as treatises and commentaries, academic journals, material for dissertation and thesis, material for moots, digests and encyclopedias. Plus one gets access to online databases such as Manupatra, Lexis Nexis, SCC, Westlaw and Taxmann. The college provides hostel facility for both girls and boys and transport for when the students need to go for visits to courts, and for legal aid programs. Plus students are provided medical facility and there is a nurse on campus at all hours and a doctor visits every evening. The campus has a bank ATM and a bank extension counter plus there is a cafeteria for sporadic food cravings. The best part is that the highest paying employers from the industry also come to recruit from NLU Delhi. A few examples of the same are Amarchand Mangaldas Suresh A Shroff and company, AZB and partners, Herbert Smith, ICICI Bank and more. To make these record placements possible what the college does is that it encourages students to intern with judges and senior advocates of the SC, international law firms, and Indian law firms. Plus students also intern at national and international organizations such as UNDP and UNICEF. Students have a gateway to various commissions, ministries and state departments such as the law commission of India, national commission for women, and various NGOs such as Tehelka and others. The campus is such that differently-abled students do not feel at a loss and the college has strict anti-ragging policies. The total intake at the college is of 60 students and the fee is 70,000 per year. Now let us look at the life at this college. Sports events take the lead in extracurricular at this college and one can participate in cricket, football, and other sports events. The college provides hostel residence to both boys and girls and in the hostel there is a mess which provides tasty, hygienic and healthy food. There is a library and then there are reading rooms where one can make online storage of web lectures, journals and e content. There are journals, books, newspapers and magazines which one gets access to in the library. The college provides merit based scholarships upto 20% of the total fee. The total fee for five years is 7,05000. Facilities include an AC computer lab, 24*7 Wi-Fi connectivity, clean and hygienic separate hostels for girls and boys. The hostels have geysers in every room, then there is day and night Wi-Fi connectivity in the hostels, clean drinking water, complete security, and TV and other modes of entertainment in the hostels such as carrom boards, and table tennis tables and equipment, plus there is good food available at decent rates, there are health services and then finally banking services and a stationery shop to take care of your stationery shopping needs. If we were to talk about extracurricular activities then what I really want to mention is the sports events such as table tennis, badminton, volleyball, football tournaments at national level. When it comes to placements then this college boasts of 100% placements. The total fees for five years is 6,50,000. The college provides merit based scholarships upto 50% of tuition fee. The curriculum is progressive in nature and the college gives one access to international faculty and there are international conferences and workshops. The extracurricular activities include moot court events, debating events, cultural events and participation in legal aid events. Also, students get to engage in conversations with legal luminaries. The infrastructure is world class, the library is great, the computer lab helps one get access to digital learning resources and there are hostels for both girls and boys. As far as internships and placements are concerned then the students have to ideally finish 20 weeks of internships by the end of five years and particularly internships those may lead to pre-placement offers are encouraged. Some placements include those with NGOs and law firms and even with corporate houses. The total seats are 60 and the total fee for five years is 6.75 lakh. This college is another good option for those who want to get admission in a law school based on the AILET scores. Here one would get to participate in national level inter college fests, then there are case law workshops to strengthen one's knowledge of law, the college also fulfills its social responsibility through legal aid camps and to top it all there are debates on issues concerning national and international topics. Plus the curriculum includes moot courts, medico legal workshops, legal seminars, social programs such as blood donation, tree plantation drives and traffic awareness which leads to the development of personality and character of the students. Besides the regular courses there are value added courses which are very interesting such as a course on Indian heritage and more. A rare aspect of this college is that the students here get an exposure to the functioning of the state bar council and the bar council of India. To further enhance one's ability as a lawyer there are independent research projects. Another thing which this college provides which is not found in most law colleges is that select students get to go for a trip abroad to learn more about the legal systems in other countries. The total intake is 263 students and the fee is 3,35,000 for all five years combined. The facilities that the college offers are a state of art computer lab, a well stocked library, proper medical facilities, a gym for health conscious students, an auditorium for special events, and hostel facilities for both boys and girls. As far as placements are concerned one might or might not get placed but the college boasts of a highest placement of upto 7 lakh and average placements of upto 4-5 lakh. These are some colleges which one can get admission into on the basis of AILET scores. Hope this information was useful. Good luck! Get the complete details on Top colleges accepting AILET score and college details.